Detox is the process patients must often go through to withdraw from the substances they are physically dependent upon. It does not focus on the treatment of the patient’s addiction or any psychosocial factors that have contributed to it. Though some patients can detox safely at home, anyone who is severely dependent on a drug, those abusing highly addictive substances, and alcoholics are advised to seek professional help when it comes to detoxing. This is because detoxification presents certain dangers for many users. For example, an alcoholic may suffer from symptoms as severe as hallucinations, seizures, and even death during detox. UpToDate notes a 5 percent fatality rate linked to patients who experience delirium tremens during alcohol withdrawal. In the event that health hazards would present, it is always best to be admitted to a medically supervised detoxification program. 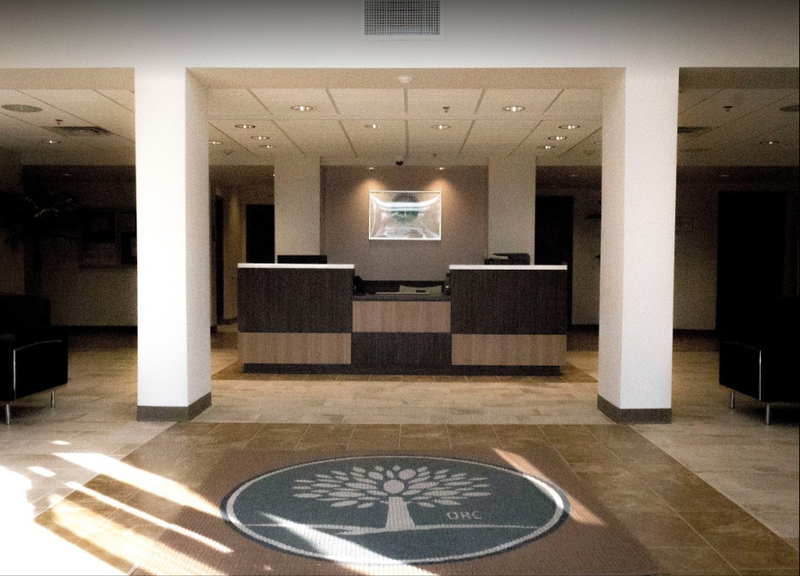 Upon admission to a substance abuse treatment center, you will usually undergo a brief interview with an intake counselor who can help to assess your immediate treatment needs. After you cease your drug or alcohol use, you can expect withdrawal symptoms to occur, usually in short order. Exact timelines vary from substance to substance. Alcohol-dependent individuals won’t usually begin to feel the effects of withdrawal until they’ve abstained for three to eight hours, per Patient. Furthermore, detox is lengthy for the serious alcoholic and can bring forth symptoms of anxiety, perspiration, and tremors within the first five to 10 hours. By the end of the first day of detox, severely dependent alcoholics may experience hallucinations, which can last for a couple days. Seizures may also begin after the first six hours or so of the process but could be delayed for up to 48 hours. Delirium tremors is not common, but for those who do experience it, it isn’t likely to occur until two to three days into detoxification. The majority of symptoms persist at this point, with the most severe throws of withdrawal occurring around days four and five, after which symptoms begin to improve. For the most part, alcoholics will be fully detoxed within a week, but there are exceptions to the rule. The most commonly prescribed drugs for the treatment of alcohol withdrawal syndrome are benzodiazepines like Valium, which the American Academy of Family Physicians notes as being highly effective in decreasing symptoms like seizures and delirium. In 2009, SAMHSA reported that 37.2 percent of all substance abuse treatment admissions involved a combined need for both alcohol and drug abuse treatment, with 23.1 percent being abusers of alcohol and only one drug, and 14.1 percent for alcohol and two drugs. In addition, 23.5 percent of treatment admissions that year were for patients suffering from alcohol dependency alone. Patients can often progress through inpatient medical detox more quickly with medication assistance than they would without drugs like Ativan and Xanax. In addition to this form of withdrawal being safer, patients have an increased likelihood of remaining sober when detox is a more pleasant experience. In fact, dependency is often classified when a drug or alcohol abuser keeps using or drinking to avoid the symptoms of withdrawal that take over when they stop. If you are planning to enter detox for addictions to prescription drugs like benzodiazepines, you can expect trouble sleeping, anxiousness, irritation, nausea and dry heaving, muscle aches and more, per a study published in Addiction. Detox from this class of drugs may last longer than withdrawal periods for other addictions; however, this isn’t necessarily a bad thing. Withdrawal symptoms are usually milder for patients who taper off these drugs slowly by cutting their doses down over time. One study published in the Journal of Substance Abuse Treatment noted the high efficacy of phenobarbital in the treatment of benzodiazepine withdrawal with only three out of 310 patients requiring readmission for treatment of withdrawal symptoms. Detoxing from benzos by going cold turkey is quite dangerous, and users are heavily warned against this practice. You may be prescribed an antidepressant, beta-blocker, or anti-seizure medication during the detox period to calm the side effects you’ll experience. Users withdrawing from benzos can expect delayed side effects that may come and go over several weeks. In these cases, therapy is still advisable, as are alumni support groups. In 2010, SAMHSA accounted for 33,701 people being admitted for treatment citing the combined abuse of benzos and narcotic painkillers as their need for care. Detoxing from opioid prescription painkillers like OxyContin is risky business and should not be attempted outside of a professional rehabilitation facility. On average, users detoxing from this class of drugs can expect to feel better four to 10 days after quitting use, depending on the severity of their addiction. Slowly tapering off these drugs is generally the best remedy for dependence on them. The United States Department of Health and Human Services notes that 335,000 Americans over the age of 11 reported past-month use of heroin per a 2012 survey, a figure that doubled over the six previous years. Of the 20,044 deaths attributed to prescription drug overdoses in 2008, 73.8 percent of them were due to opioid pain relievers, per the Centers for Disease Control and Prevention. Medications such as methadone and buprenorphine have shown significant success in the mediation of withdrawal symptoms experienced by detoxing heroin and opioid painkiller addicts. It is thought that the increased ability to manage pain for these drug abusers leads to higher rates of recovery. Methadone carries a reported 60 to 90 percent success rate, per the California Society of Addiction Medicine, and acts by inhibiting opioid receptors in the brain from achieving the high effect the user normally receives from opiate drugs. Buprenorphine is also an opioid antagonist. It works the same way in addition to disabling the patient from developing an addiction to the drug, because using more of it will not cause any additional effect. Buprenorphine has boasted success rates as high as 88 percent in one study published by the Columbia University School of Medicine, per The Fix. In 2012, 16 percent of people aged 12 and older in treatment were admitted for heroin abuse and another 10 percent for other opiates, per SAMHSA. And it’s believed that these numbers make up only a small fraction of those in need of help. Detoxing from opioid pain relievers or heroin is now a far more comfortable process thanks to drugs like methadone and buprenorphine. Patients withdrawing from heroin or opioid painkillers can expect symptoms such as goose bumps, rapid breathing, excess saliva, muscle pain, cramps, tremors and more, per WebMD. Heroin addicts will usually experience initial symptoms within six to 12 hours of their last use, and they’ll last up to three days, at which point they are usually their most intense. By the time the addict reaches day five, side effects of detox should begin to decrease and dissipate altogether around day seven. Anxiousness, insomnia and nausea may still persist in the withdrawn patient for some time, and follow-up treatment for at least three to six months is strongly advised. Withdrawal from stimulants like cocaine and methamphetamine generally lasts anywhere from a couple of days to several weeks, depending on the depth of one’s addiction, and it comes with symptoms such as extreme mood swings, cravings, fatigue, insomnia and a voracious appetite, per Healthy Place. Initially, the detoxing stimulant addict can expect mild symptoms, but as the hours progress, those same symptoms often increase in severity. Between one and three days after the patient’s last use of the drug, emotional symptoms along the lines of sadness and regret will sink in, followed by the need for a heavy dose of sleep if nightmares don’t interfere. By one week into detox, you’ll likely regain your craving for food and begin to lose cravings for stimulants. However, the latter returns with a vengeance in most patients by week two alongside feelings of anger and more depressed moods. In the third and fourth weeks of cocaine withdrawal specifically, make way for mood fluctuations. For many, symptoms will come and go in fits and generally persist in conjunction with how much cocaine the user was accustomed to using and how long they had the habit. SAMHSA notes 7 percent of 2012 treatment admissions being for cocaine abusers and another 7 percent for users of amphetamines and methamphetamines. Stimulants often make for an uncomfortable detox for some patients because pain management methods are scarce for this type of withdrawal. For lack of a better option, benzodiazepines are sometimes prescribed to alleviate discomfort, but their efficacy varies greatly from patient to patient, as does their popularity among physicians. Withdrawal is known to be very emotionally painful when coming off stimulants because pleasure-inducing dopamine is at an all-time low, and there are also far fewer dopamine receptors to work with in the long-term stimulant abuser, per Psychology Today. Thus, patients are sometimes unable to feel pleasure at all. Benzodiazepines have been shown to be effective in reducing anxiety-based side effects during this time. Though it is less common, some physicians and treatment centers may prescribe an antidepressant, such as Norpramin or Paxil, to the stimulant-detoxing patient if their levels of depression are severe enough to warrant it or they persist for too long. This is especially important when suicidal tendencies are present, as is the case with many addicts detoxing from methamphetamine. Due to the intense pain experienced during withdrawal, 93 percent of patients undergoing typical treatment for methamphetamine dependency end up relapsing, per the Foundation for a Drug-Free World. Detoxing from a multitude of different drugs generally won’t extend the length of detox past the average week to 10 days, but it will make it difficult to gauge what you can expect during the process and how long it will last within those limits. Thus, it is imperative that you are upfront with admissions counselors when interviewed. Do not hide any of your substance abuse behaviors. The medical staff overseeing your care must be aware of which substances you are withdrawing from so they can medicate and care for you appropriately. 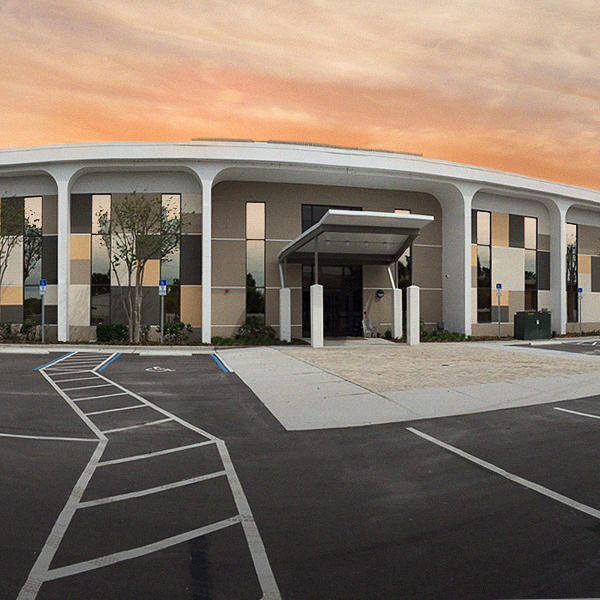 At Orlando Recovery Center, you’ll be surrounded by the comforts of home while withdrawing from any substance. With our help, you can set realistic goals and reach sobriety in a safe and healthy manner. Call us today and let us help.